Ekanga was worried about his wife. Though Pallavini took local remedies for healing, nothing helped. Many of the so-called treatments only made her worse. For more than a year, her bleeding continued, leaving her weaker and weaker as the months drew on. Ekanga feared Pallavini would die. To make matters worse, the family lived in a notoriously dangerous village—one populated by robbers, thieves and bloodthirsty men. Every month, villagers would hear a report of someone being killed and robbed by the people of Ekanga’s village. Ekanga had good cause to be worried. A few months before Ekanga’s wife became sick, he met Gospel for Asia supported pastor Jacob. Although Ekanga called himself a Christian, he and his wife hadn’t been living like it. As Pastor Jacob and Ekanga talked, Ekanga told him plainly he wanted to start going to church. In July, Ekanga started attending Pastor Jacob’s church in the nearby village, and by December, he moved the family to that village, further away from the danger of their previous town. Pallavini, whose medical issues started the month before they moved, wasn’t happy with the idea of her husband going to church. But God was working in her heart, and a year later, she went with Ekanga to church. At the end of her testimony, Pallavini asked the congregation to pray for her well-being. Pallavini received life-changing multivitamins at a medical camp led by a Women’s Fellowship team. 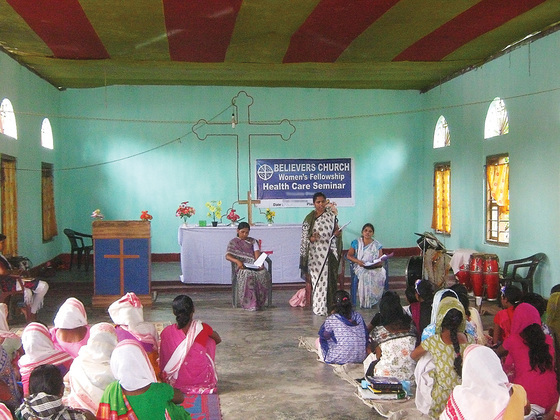 The next day, the Women’s Fellowship team at Pastor Jacob’s church had planned a medical camp. Pallavini went with about 30 other women. They each received multivitamin tablets and learned a few basic things about health. One week later, Pallavini could hardly contain her joy. 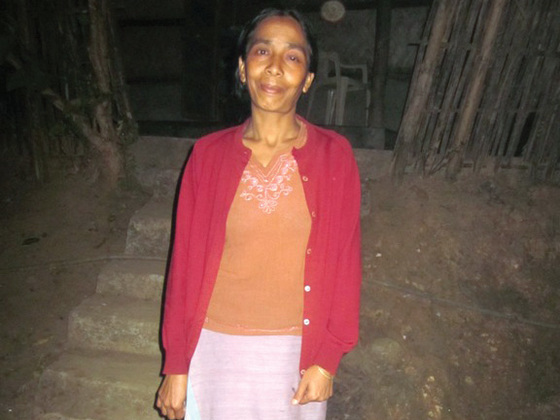 Praise God for moving in Ekanga’s and Pallavini’s lives! Their testimony is just one among many who have been touched and blessed through the ministries of Gospel for Asia, which you are part of through your prayers and donations. Thank you so much for standing with us to impact lives around the world.